Zered Bassett goes unplugged and skulls go nuclear. This is what came to my mind when I was asked to make something "crazy" for this Xgames spot. 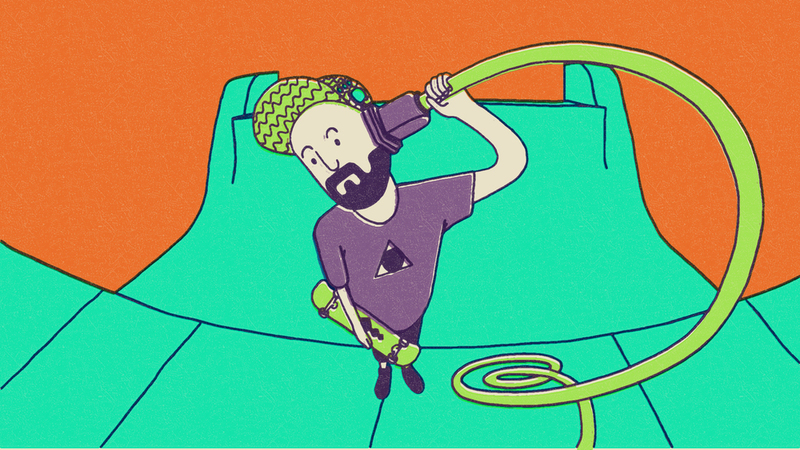 I designed and cel animated these two small illustrations for this ridiculously fun spot.